7/19/14- Red Sox Pregame Notes vs Royals. Shane Victorino is back! 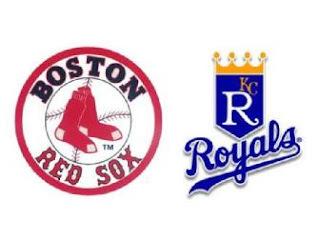 Boston, Mass- The Red Sox, fresh off of a 5-4 win against the Royals last night, take on Kansas City in the second game of a three game series. Kansas City gives the ball to Danny Duffy, whose 2.76 ERA leads the Royals pitching staff. Duffy has gone into the sixth inning in each of his last eight starts, so he has been effective of late. On the other side of the diamond, Boston counters with Rubby De La Rosa. In his six starts with Boston, he has compiled a 2.89 ERA, and has struck out 33 in 37 1.3 innings. Only two Red Sox have faced Duffy in their career, and Dustin Pedroia and David Ortiz are a combined 6-12 with five extra base hits against the lefty. Boston hopes to continue to pad those numbers tonight and will do so with the return of Shane Victorino, who is back from a couple of rehab dates with Lowell and Pawtucket. In 21 games this season, the Flyin' Hawaiian is hitting .242 with a .672 OPS and two steals. Not great numbers, but for how much of the season has her played hurt? The Sox have needed Victorino badly, and miss his speed, defense, and ability to get on base. Manager John Farell has felt the pain without Shane. We’ve missed his energy, we’ve missed his talents, his in-game decisions, his instincts on the base paths. We’ve missed a very good player for the majority of the year. That being said, we’re very much looking forward to him getting back. We recognize there’s been a couple of start and stops along the way. What kind of production he gives us immediately remains to be seen.